It’s Day 30! But before we sprint across the finish line, I have one more recipe to highlight. This weekend, I’m off to New York to attend my cousin Jennifer’s baby shower. 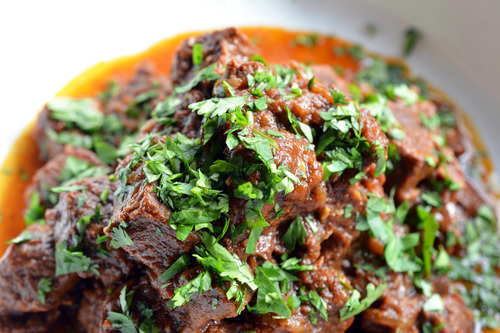 Henry and the kids will man the fort while I’m gone, but they won’t be left to fend entirely for themselves: I’m leaving them a big pot of Oven-Braised Mexican Beef. 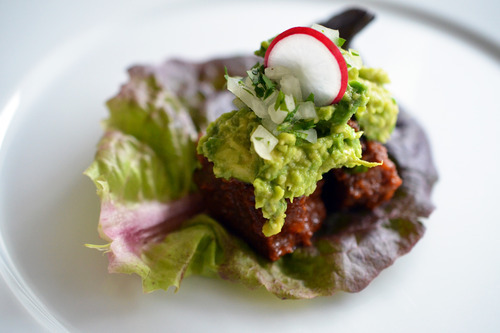 Wrapped in lettuce leaves and topped with homemade guacamole, this spicy, hearty take on chili con carne should keep my family’s bellies full while they cheer on the Niners this Super Bowl Sunday. Follow the jump for the recipe and some announcements! Chips and wings are great, but trust me: Your Super Bowl shindig won’t be complete without this fantastic make-ahead dish. After all, you don’t want to be stuck in the kitchen during the commercials. And we need – yes, NEED – to know whether Beyoncé’s going to lip synch her way through the halftime show, right? 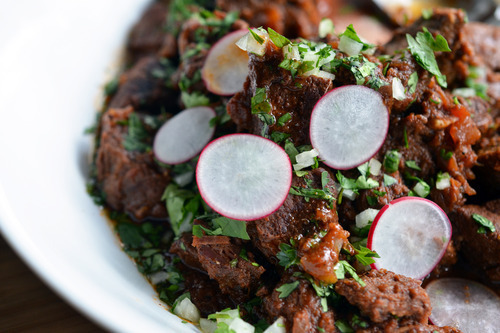 Seriously: Make a pot of Oven-Braised Mexican Beef tonight. You can thank me later. And that’s a wrap on the January Whole30, folks! Whew! This month-long series has been a lot of fun, don’t you think? I hope that my daily posts were helpful to you in some small way – whether by inspiring you to try new recipes and cooking techniques or by momentarily distracting you from your cupcake cravings. I have to admit that being your self-appointed anointed Whole30 cruise director was a bit more exhausting than I anticipated, but I really enjoyed accompanying you on this journey. The end of this January Whole30 doesn’t mean I’ll disappear on you, though. (You can’t get rid of me that easily! I linger like scabies, people.) Stay tuned for a Whole30 recipe recap and a huge giveaway. HUGE. Fill out this sort-of-random survey on my Facebook page! Vote for me in the Best App Ever Awards – my app’s a nominee in the cooking category!